Our all-natural sweet Paprika–imported from Spain– is a mild chili powder made by grinding sweet red paprika chilies after the seeds have been removed. It has a nice dark orange color and a sweet peppery aroma. Not an overwhelming spice, but gives a lot of depth to many dishes. 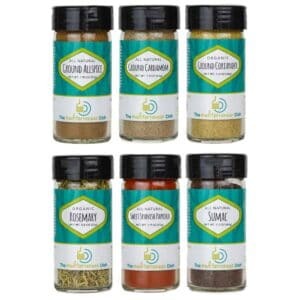 Spices labeled “organic” have been USDA certified. I love this spice and look forward to purchasing more with the Thanksgiving discount. Thank you! Awesome! So glad to hear it!